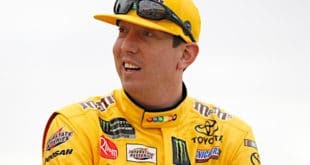 Sprint Cup: Busch Keeps Chase Hopes Alive With Miraculous Three Weeks – If Kyle Busch is able to make the Chase for the Sprint Cup come September, the previous three races will have been the critical part of the run. 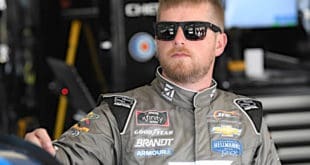 Busch, who missed the first 11 Sprint Cup races of the season following a vicious crash in the season-opening XFINITY Series race at Daytona International Speedway, returned to the Cup Series in the Sprint All-Star Race in late May. 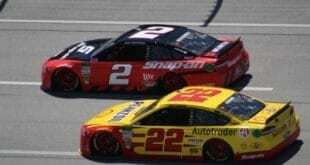 Granted a waiver from NASCAR to make the Chase, given that he score a victory and make the top 30 in points, the Joe Gibbs Racing driver has competed in seven points races. The first month of Busch’s return was a rollercoaster. Busch, 30, finished 11th in the Coca-Cola 600 at Charlotte, but followed it with a 36th-place run at Dover. The Las Vegas, Nevada native then earned his first top 10 at Pocono, but suffered a 43rd-place result at Michigan. By the time the Cup field headed to Sonoma Raceway on June 28, many considered Busch an afterthought to make the Chase. Then, Busch did what he’s done throughout his career, proving his critics wrong and winning at Sonoma. Busch’s win was a great story, but the two weeks since have been nothing short of miraculous. Seemingly out after hitting the wall at Daytona, Busch rallied to finish 17th. 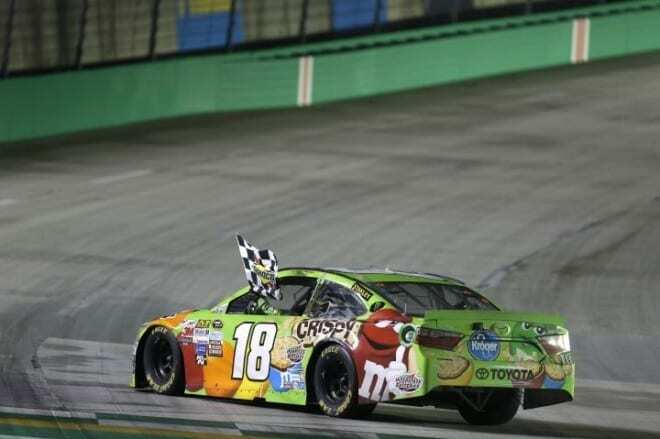 Saturday at Kentucky, Busch earned his second win in only 7 races. NHRA: I Want You To Be Perfect – Don Schumacher probably did not say this to Tommy Johnson, Jr., but the fact is that Johnson made the organization perfect in the win column today. He was the last driver among Don Schumacher Racing’s seven Top Fuel and Funny Car entries who had not yet scored a win in 2015, but he fixed that and joined his teammates in the winner’s club with a victory at the Lucas Oil Route 66 NHRA Nationals from Route 66 Raceway in Chicago this weekend. DSR was guaranteed the Funny Car prize as Johnson squared off against teammate Matt Hagan in the final. Johnson’s run of 4.259 seconds, 245.27 mph was good enough as Hagan smoked the tires right on the launch and went nowhere. Johnson also defeated Brian Stewart, Jack Beckman, and Cruz Pedregon on his way to the finals. Johnson was one half of a DSR nitro sweep as teammate Tony Schumacher took home the Top Fuel trophy. Schumacher lined up next to Larry Dixon for the final and posted a 3.844 second, 322.20 mph run to best Dixon’s 3.932 second, 298.93 mph effort. Schumacher also beat T.J. Zizzo, J.R. Todd, and Dave Connolly in earlier rounds. Pro Stock belonged to Allen Johnson this week. Johnson got off to a slow start this season but hopes this is a sign of a turn-around from here on out. He faced off against fellow veteran Larry Morgan in the finals and posted a 6.624 second, 209.88 mph run to best Morgan’s 6.667 second, 210.18 mph pass. Johnson had to get by Bo Butner, Chris McGaha, and Greg Anderson to reach the final round matchup with Morgan. Pro Stock Motorcycle was part of the show again this weekend as well, and this time it was Hector Arana, Jr. for the win, with a 6.918 second, 194.66 mph run over Matt Smith’s 6.957 second, 190.24 mph run. Arana, Jr. also defeated LE Tonglet, Jerry Savoie, and Chaz Kennedy en route to the finals. Arana, Jr. won this race last year so he’s now a repeat champion. In other breaking news, five-time Pro Stock champion Jeg Coughlin, Jr. will be returning to the class for a three race stint in upcoming races in Sonoma, Seattle, and Indianapolis. Coughlin is teaming up with Elite Motorsports and will run the events as a teammate to Erica Enders-Stevens. IndyCar: Montoya Overcomes Adversity for Points Stranglehold – The main story coming from the ABC Supply Co. Wisconsin 250 was Sebastien Bourdais’ dominant drive to score KV Racing Technology their first oval win since Tony Kanaan’s 2013 Indianapolis 500 triumph. Hidden beneath that, however, was a huge points day for Juan Pablo Montoya. Montoya, who came into the race with a 46 point advantage over Team Penske teammate Will Power in the points standings, suffered a major setback early in the race when he received a speeding penalty. However, using timely cautions and brilliant strategy, Montoya fought his way back to a fourth-place finish. The finish was a massive comeback for Montoya, who looked as though he was going to give up major ground in the points battle. However, equally huge were the struggles of his closest competitors. Power, the defending Verizon IndyCar Series champion, was racing inside of the top 15 when he was caught up in a wreck with Ryan Briscoe. Power would finish in 22nd. Scott Dixon had a strong Chevrolet for Chip Ganassi Racing. Making his 250th-career IndyCar start, the New Zealander fought his way into podium contention early on, running as high as second. However, Dixon’s car suffered from issues and faded in the closing run, relegating him to a seventh-place showing. Short Tracks: Davenport Soars to Diamond Nationals Victory at Lucas Oil Speedway – Jonathan Davenport added another layer to his spectacular season on Saturday, claiming his eighth Lucas Oil Late Model Dirt Series win of the year in the 50-lap CMH Diamond Nationals at Lucas Oil Speedway. Davenport led the race’s final 35 laps, seizing the top spot on lap 16 when leader Billy Moyer slowed on the frontstretch and pulled out of the race. From there, it was all Davenport, as he drove off to earn his first-career CMH Diamond Nationals victory in an event co-sanctioned with the Lucas Oil Midwest Latemodel Racing Association. Jared Landers led early in feature after starting on the outside pole, holding the top spot until lap 13, when he was forced to surrender the position to pole-sitter Moyer. Landers would fall to third, and then spin into the turn one wall while trying to find a way around Davenport to retake second. Veteran Scott Bloomquist suffered issues before he could even get to the track when his rig broke down in Kentucky, but Bloomquist jumped into Jared Landers’ back-up car and rallied from 17th to finish second. Sports Cars: 2017 P2 Regulations Announced – On Thursday, the FIA, Automobile Clue d’Ouest (ACO) and IMSA officially announced the new-for-2017 regulations for the P2 class that will serve as the top class in TUSC and the European Le Mans Series (ELMS) and the second-fastest class in the World Endurance Championship (WEC). It had been previously announced that there would be a bidding process to determine which companies could build the new chassis required. 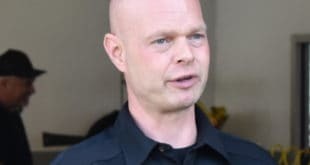 The four companies that will be building closed-cockpit chassis are two existing manufacturers and two new ones to the P2 platform. The first returnee is ORECA, which currently has the closed-cockpit ORECA 05 (racing in Europe, will make its American debut at COTA in September) and the open-cockpit ORECA 03 (briefly raced in the states, more popular in Europe). They are joined by Onroak Automotive, which builds both the open-cockpit Morgan chassis and the closed-cockpit Ligier JS P2. Those who missed out include BR Engineering, which built the BR01 chassis currently being used exclusively by SMP Racing in the ELMS and Ginetta, who launched the first P3 chassis earlier this year. The two French manufacturers will be joined by Dallara, which has not previously built a P2 chassis, but has decades of experience in racing. Their most recent experience in sports car racing here in the United States was with the Dallara DP, which still can underpin the Chevrolet Corvette DP Evo’s in TUSC. The final manufacturer will be a joint venture between U.S. based Riley Technologies and Canadian-based Multimatic. Multimatic is also heavily involved in the new Ford GT GTE car that will race in both TUSC and WEC starting next year.